Gone are the days when ballet was associated only with thin, sway-backed, neurotic dancers. Ballet is the class du jour to achieve sculpted thighs, strong abs and perfect posture. And even a touch of Zen. ''For me, ballet is a moving meditation,'' says Kate Barber, a registered teacher with the Royal Academy of Dance and creative director of Big Steps Little Feet. Not only does ballet improve your posture and core strength, in your abs and spine, it also makes you feel better and more energised. A study published in Archives of Pediatrics & Adolescent Medicine found that teenagers who were struggling with issues such as neck and back pain, stress, anxiety and depression reported a boost in mood after attending dance classes. If you've been to the ballet or even seen a dancer walk, you'll undoubtedly have admired their toned, taut body. ''When you lift your body onto the ball of your foot, even if it's unlikely you'll be able to balance en pointe, you engage the fine-motor, intrinsic muscles to force the body upwards,'' Barber says. ''The core strength of your abdominal, spine and intrinsic muscles of the legs and feet begin to align themselves on top of each other. Your body stacks like a long line of bricks creating length and elongation of the spine over the base of the foot.'' Barber says that by imagining your body is anchored to the ground, your feet are the roots of the tree, your torso is the trunk, your head is reaching towards the sky and your arms are the branches, the movement is a ''two-way action between the mind and body, which creates the space to use those intrinsic muscles to remain stable and supported''. It seems that dance could help with various illnesses. Research published by the Scholarly Publishing and Academic Resources Coalition found that a weekly dance program could improve physical performance and increase energy levels among adults. A study by the English National Ballet and University of Roehampton found that dance benefited people with Parkinson's disease by relieving debilitating symptoms, aiding short-term mobility and significantly improving stability, as well as contributing to social inclusion and artistic expression. ''Ballet is a rare sort of workout, in that you can do less exercise but achieve better results than other types,'' says Emma Seibold, owner and founder of Barre Body. Seibold, who incorporates ballet, yoga and Pilates into her lessons, encourages her students to alternate between stretching, improving flexibility, strengthening and fat-burning cardiovascular moves. Like any exercise, enjoyment is more than half the benefit. 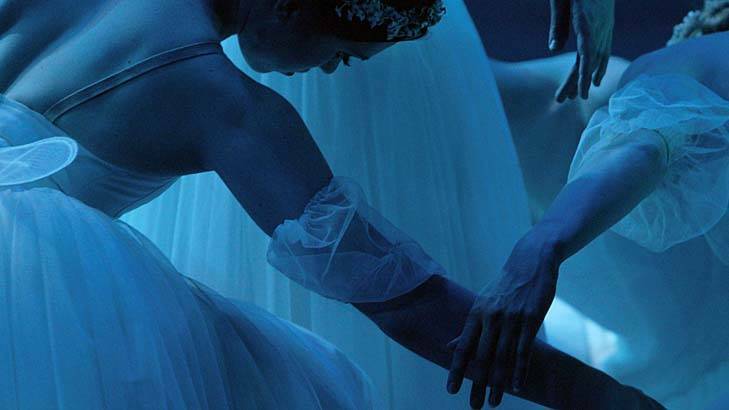 The story Ballet is back for grown-ups. first appeared on The Sydney Morning Herald. 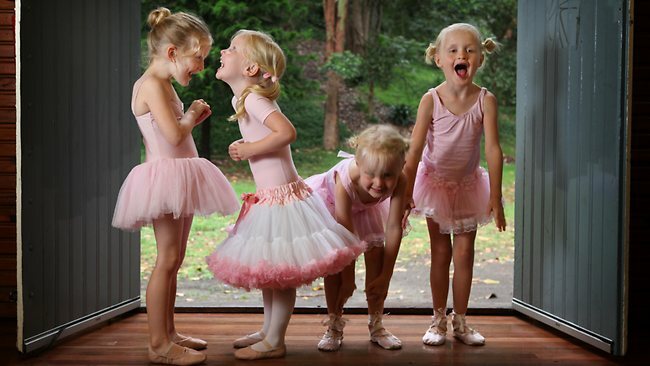 These little angels are as cute as buttons right now — but a few more years in tutus and they'll be as hard as nails. While ballet might be dismissed by some as a “soft” pursuit, injury rates among top-level dancers suggest it's just as tough as many mainstream contact sports. An Australian study has revealed more than 75 per cent of elite teenage ballerinas sustained at least one injury over the course of a year. That compared to previous studies showing soccer players competing at a similarly high level had an injury rate of just 5-15 per cent per year. Sports Medicine Australia, which published the research, said ballet was very demanding due to the training involved and the stretching, bending and hard impacts many manoeuvres require. Kate Barber, a veteran ballet instructor at the Big Steps Little Feet studio for children in Bondi, said technique, strength and core training were crucial from a very young age to ward off injury. “I think dance, and ballet in particular, is becoming very athletic and very acrobatic, and at that professional level they are now doing lots of high leg extensions, big throws and fancy partner work,” she said. “Such dynamic moves were more likely to lead to leg injuries without correct training, Ms Barber said. The study was headed by Monash University PhD candidate Christina Ekegren. BEND and stretch and reach for the camera - a new gaggle of teeny ballerinas is about to take flight. With the curtain set to rise on end-of-year concerts across NSW, tensions are building for dance students and their Kleenex-clutching stage parents. At one Bondi ballet studio, where a troupe of 500 two to eight-year-olds will perform Cinderella, keeping in step was a giggle. 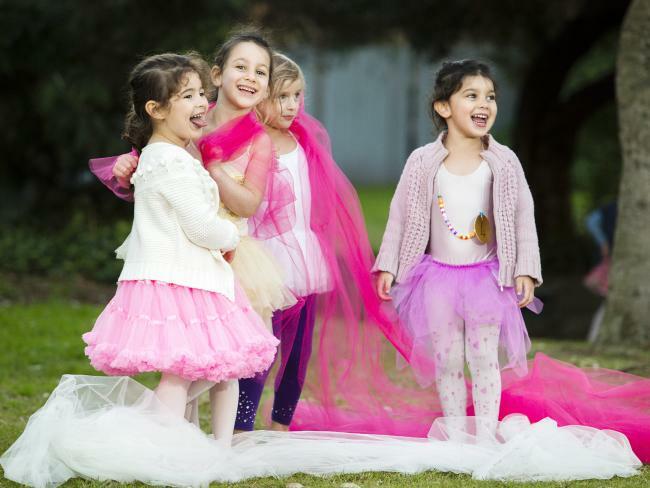 In frothy pink tutus and over-sized stockings, classmates Clare and Olivia joined twin sisters Lotus and Farah in final preparations at Big Steps Little Feet dance school. Director Kate Barber said the ballet studio's mission was to "change the world a twirl at a time". Encouraging free dancing over performance anxiety, the stage was set for a fun finale to the year's after-school classes. "It's just the children dancing, under lights, in a theatre with the most generous of audiences," Ms Barber said. And a note for pushy parents: "The annual concert provides an opportunity to dance confidently and freely within the boundaries of ballet," she said.